Moving to the Windy City is a thrilling choice, but inevitably intimidating. After all, Chicago is a major metropolitan hub, home to some of the world’s largest skyscrapers, remarkable architecture pieces, bustling businesses and famed culinary enterprises. Who wouldn’t want to embark on a new journey to an urban landscape comprised of gorgeous Lake Michigan, a sprawling skyline, endless entertainment possibilities and diverse neighborhoods? Nonetheless, many Midwest locals say it takes a special breed of city dweller to make it in Chicago unlike the more comfortable climates in the West and South. 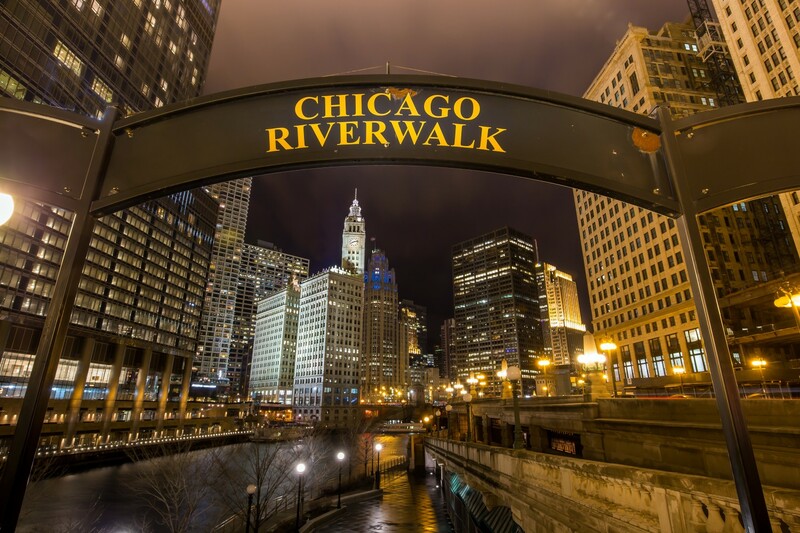 And while Chicago isn’t necessarily the largest city, its size and unique division of neighborhoods allows residents to feel in awe and at-home simultaneously – a rarity in some of the world’s biggest metropolises. The famous Midwestern kindhearted vibe spreads through Chicago as much as it does the rest of Illinois. It’s no doubt Chi-town is a prime mix of iconic, innovative and welcoming – but newcomers should still review the specifics on weather, crime, accessibility and schools, if applicable, before they decide to relocate to Chicago. Then, prepare by reviewing a moving checklist complete with various tips for moving. Chicago hopefuls should also go over packing tips, must-dos and find moving equipment necessities before the big move day approaches. What’s it Really Like Living in Chi-town? Speaking of summer, Chicago is no stranger to warm temperatures, either. At its warmest, Chicago reaches average highs of 81 and lows of 66 degrees in July. The average annual high is 56.8 degrees, pulled down by those brisk temperatures throughout the holiday season that often last long into the early Spring. Keep in mind, warm air is fueled by humidity, so pack up the hairspray and deodorant if you’re moving in July. While sleet and snowflakes normally hit from November through February, Chicagoans have witnessed snow as late as April – even after temperatures warmed up for a short period. Chicago spring weather is unpredictable, to say the least. Tip: Spring is also when the rental and for-sale market begins to warm up after the duller winter season. As more buyers and renters enter the field, competition rises and so do prices. Braving the Chicago winter could prove beneficial if you’re looking for a good price on an apartment. The Chicago rental market is seasonal, meaning prices decline during the colder, slower months. Privately owned condos or smaller complexes often keep their prices steady throughout the year, while large property management companies offer deals when they have trouble filling vacant units from November through February. Bonus: Chicago was rated the second best city for handling snow by service professional website Thumbtack. [iii] The site did a study which states Chicagoans wait, on average, until 8.8 inches fall until calling for professional snow plows, demonstrating how tough the city is at handling intemperate weather. Chicago is 234 square miles in total area with 77 defined community areas. Therefore, not every two neighborhoods will be alike in their safety standards or probability of crime. With the City of Chicago and residents working to eradicate crime in Chicago every day, pinpointing one dangerous neighborhood over another is too ambiguous. Meanwhile, private developers have bought up property adjacent Cabrini-Green as the greater neighborhood gained new amenities – including an Apple Store just a few blocks north – in the past few years. What was once considered a precarious zone is now an up-and-coming spot in Chicago, with new developments, shops and affordable housing near the center of the city. 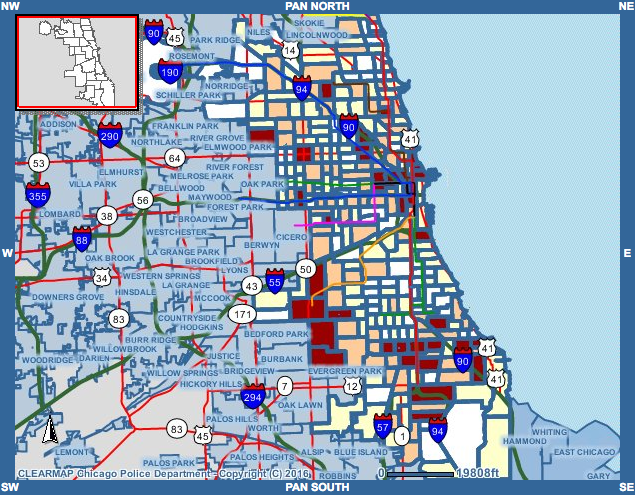 For more information on crime in Chicago, visit the Chicago Police Department ClearMap Crime Summary Web Application, where current and future residents can search the CPD’s database of crime based on one year reports. The map enables residents to input a specific address to see stats in a designated area. 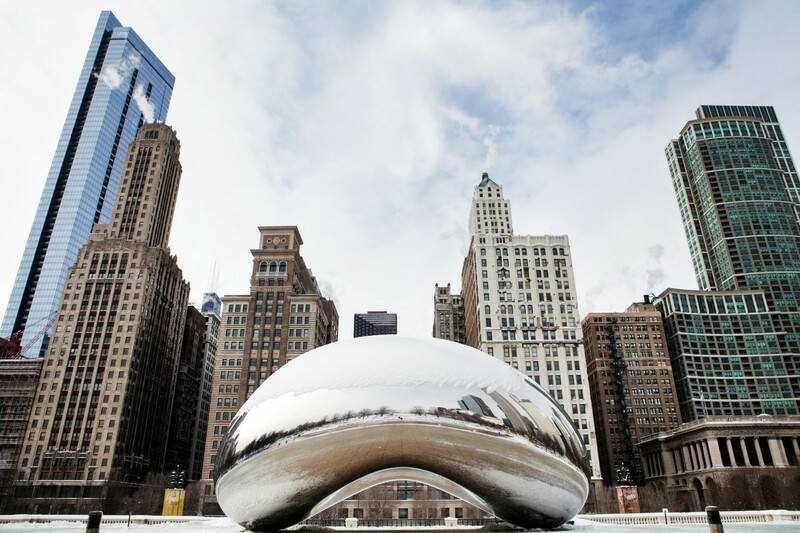 Trekking around the city of Chicago is beneficial for those craving a taste of culture, energy and history. Of course, corner stores and boutique shops are abundant in many of Chicago’s biggest neighborhoods which are easy to get to by foot. Biking provides Chicagoans substantially more freedom to move about the city, with services such as the Divvy bike sharing system, which features stations between Andersonville all the way to Hyde Park. Simply sign up, use the touchscreen kiosk to specify your member key or ride code and obtain your bike for an unlimited 30-minute trip for your travel. Divvy members 16 years and older can purchase a 24-hour or Annual Pass depending on lifestyle or personal needs. 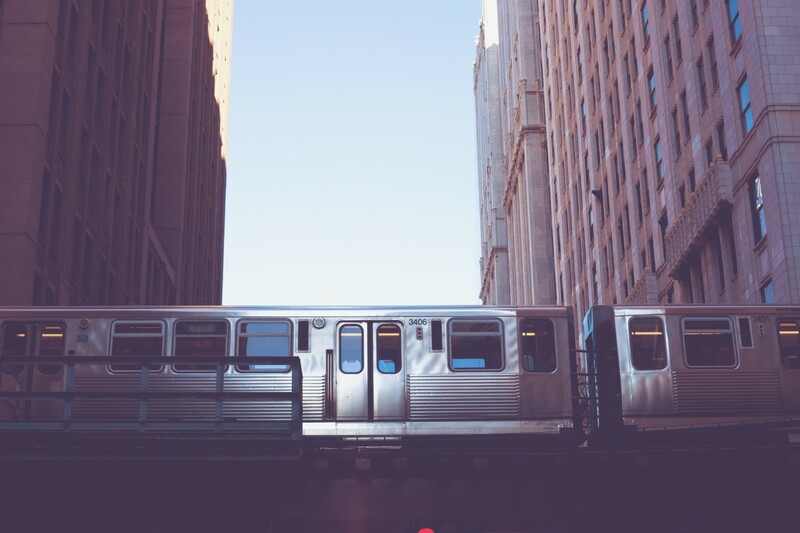 Keep in mind, commuting to the Loop for work and hauling groceries often requires public transport or car, especially considering the size of Chicago. Plus, many residents decide to live in the far north or west neighborhoods to save on rent each month, and Chicago’s famous inclement weather is often better handled in the comfort of a car, bus or train. The CTA, or the Chicago Transit Authority, is comprised of both the bus and “L” train system throughout the Windy City. Trains are $2.25 per ride while buses are $2.00 per ride. Ventra cards are the most convenient way of payment, essentially operating as a refillable ride card with a linkable mobile app to view balances and receive notifications. Seldom riders can purchase disposable paper cards at CTA rail stations for both the train and bus. Cash or card can be used on buses while L trains require riders to tap cards (either Ventra refillable or disposable) at the turnstile before entering the train terminal. A transfer costs .25 cents, and the CTA also offers reduced fares for senior citizens and students. Whether you currently have children or you’re planning on starting a family in the near future, an important aspect of your Chicago moving checklist should be vetting out the best neighborhoods based on school ratings. GreatSchools ranks the top elementary, middle and high schools in major cities throughout the U.S., allowing renters with families and buyers looking to gauge their long-term home values a full assessment of education in their neighborhoods. According to GreatSchools on Trulia, the top three elementary schools in Chicago are Skinner North, Keller Elementary Gifted Magnet and Leland Elementary School. Each scores a 10 out of 10 based on comparison of test results in all schools throughout the state. Skinner services kindergarten through eighth, Keller first through eight and Leland pre-k through eighth grade. For middle schools, Mount Greenwood Elementary School, Skinner West Elementary School and Jackson A Elementary Language Academy all rank 10 out of 10. Lane Technical High School, Young Magnet High School and Brooks College Prep Academy High School are top-ranking public facilities in the city for rounding out a child’s secondary education. Chicago is known for its culture and diversity. 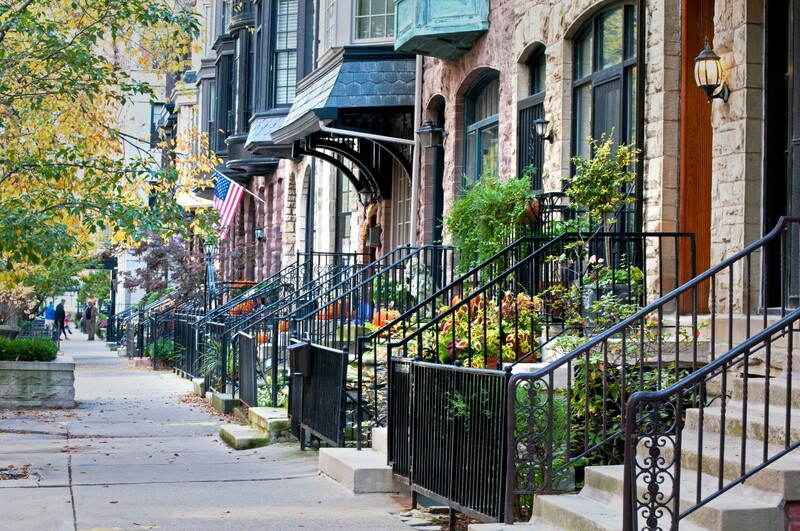 With a mix of neighborhoods to choose from, sorting through your options might be difficult. But no matter your budget, there’s likely a place to suit your needs, as long as you do a little research beforehand. Maybe you have kids and prefer a quieter, tree-lined neighborhood with parks and top schools for your Chicago destination. Or, you might be partial to a setting near the action (aka the Loop, or the heart of the city), where you’ll find nightlife, restaurants, new developments and high-rises. Whatever your lifestyle, Chicago has an area and a corresponding price point. The name says it all: Lakeview and Lakeview East are situated on the shores of Lake Michigan, offering renters unparalleled views of the beach and blue waters that span all the way to Michigan’s coastline. Belmont Harbor livens during the summer boating season, and residents get a taste of true Chicago pride when the Cubs play throughout the baseball season in Wrigleyville just a few miles north. The median rent in Lakeview is $2,200 per month, which is low compared to the median household income of $90,078 per year. Located on the Northwest Side of Chicago, Jefferson Park offers easy access to both I90 and I94 for commuters traveling both downtown and to the northern and northwestern suburbs. Alternatively, both the Metra and Blue Line share the Jefferson Park station if you lack a car or prefer to relax on your way to and from the office. In addition to being highly accessible, Jefferson Park is affordable, with a median rent of $1,950 per month. Meanwhile, the median household income is $58,235 per year. Being located on the north east side of the city has its benefits, primarily access to the Loop and prime waterfront real estate. While West Roger’s Park is situated slightly farther from the Lake than the eastern portion of the greater Roger’s Park neighborhood, renters in West Roger’s Park benefit from less expensive price points. Commuters need not worry: West Roger’s Park is still roughly the same distance from the Loop. Locals have conveniences without hopping on a train or bus, too. The median rent in West Roger’s Park is a low $1,575 per month, which is on par with the median household income of $41,551 per year. For a less expensive neighborhood, consider Auburn Gresham in the far south side of Chicago. The neighborhood isn’t known for low crime rates, but is currently undergoing mixed-income housing development, educational initiatives, youth employment programs and senior services as part of a larger public program called the Greater Auburn-Gresham Development Corporation (GAGDC). 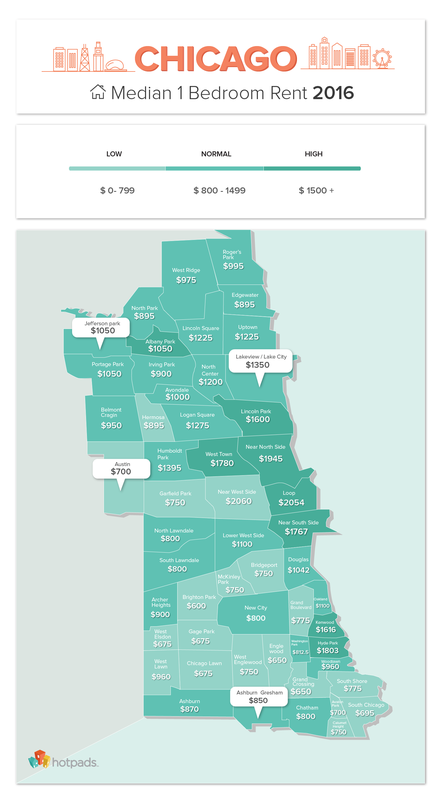 The median household income in the Gresham is $31,132, while the median rent is just $1,350 per month. Austin sits on the west side of Chicago, about seven miles west of the Loop. The median household income is $30,509 while the median rent is a low $1,450 per month. While rents in Austin are low compared to neighborhoods north of the Loop, the crime rates are high relative to the rest of Cook County. This is something to keep in mind – especially for families and individuals moving alone for the first time – before determining a neighborhood solely based on price. Before any move, make sure you don’t require moving permits in your new city. Luckily for new Chicago residents, no permits are required for moving to the Windy City. However, make sure you call ahead to request a parking permit for moving trucks for the day of your move so you can easily transport your furniture in and out of your building. If you’re moving into a high-rise or multi-family unit with a parking garage, leasing agents or property managers at the building should provide you with a pass to park your moving truck in a loading zone for a period of time – dependent on your load amount. Note: make sure your car or truck has all the registration documents updated prior to obtaining your parking passes. Take measurements of all your furniture to ensure placement in your new space, and plan accordingly for items that will not by finding a storage unit, asking a family or friend if they would want to temporarily keep your furnishings or hosting a garage sale. Packing and unpacking are arguably the most time-consuming aspects of moving, while the travel itself is the easiest and most exciting. 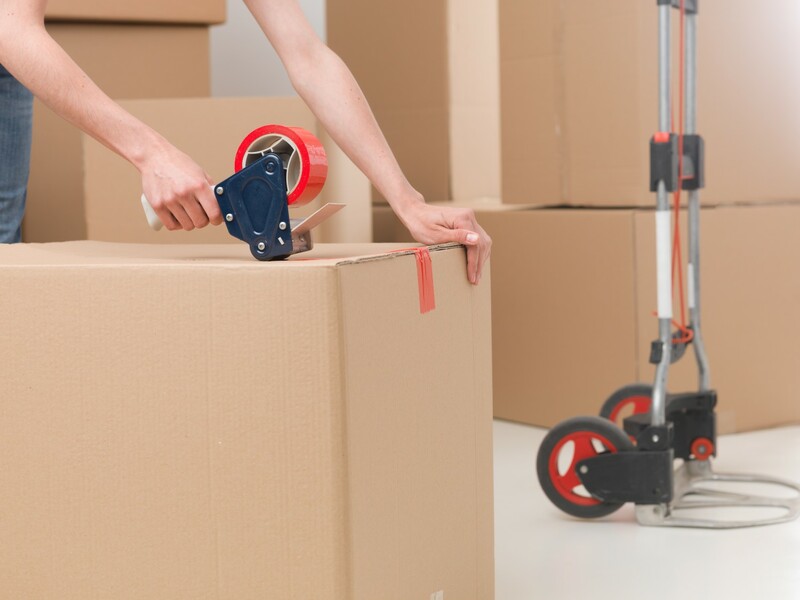 But, these are inevitable pieces of your move and must be completed with care if you want your belongings to arrive safely and in good condition. Consider the following packing tips to help your transition into Chi-town a seamless and systematized one. Tip: if you planning weeks ahead, search online classifieds for free boxes in your neighborhood. People who’ve recently moved sometimes list used boxes in the free section of Craigslist to unload them without having to recycle or store them for the future. 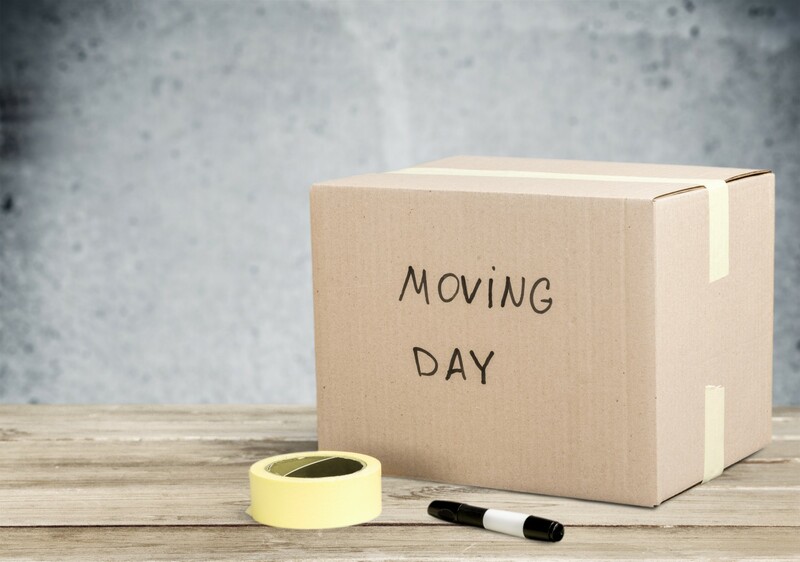 While one moving guide can’t provide an extra hand on the big day, preparing adequately with the tips outlined above can certainly prevent you from making the common missteps. Whether you’re a newbie to Chi-town or a returning resident, welcome home!